Arumoham is 62 years old. A grand mother, she is separated from her husband and lives with her daughter who is a widow, and a mother of three children. Arumoham is the bread-winner in this family of four. I met her during my visit to Wakarei. She is a working woman, a farmer and a fisher-woman who works to ensure that her daughter and her grand-children are fed two meals per day. She farms vegetables such as chili, and pumpkin in her garden. She says she has not received a formal training as to how agriculture needs to be done, but does is based on the knowledge she has received over generations. She believes that new technology and teaching is not as good as the knowledge she has received. She has no time to go for trainings or capacity building session she says, nor women’s meetings. She has to take care of her grand-children among whom is a child with special needs. She works so that the boy could be taken care of, along with his two sisters who are in their teens. Her agricultural activities are not the easy. There is scarcity of water in the region, and the water they have is from wells that they pump to use for their farming. She says that weather patterns have changed, and the rains that fall much harsher than before damage the crops. I ask her how she puts up with the damage when the plants are destroyed from heavy rains. She says that they have to start from scratch. She does not believe in loans, nor insurance. She prefers to starve than be troubled by her creditors she says. Her farm brings around 3000 to 4000 rupees a month she says. She is not entirely sure of the income made. They make use of the crops for their food, while selling some of it to gain an income. As the income does not suffice, she goes to catch prawns in the evening. She shows me how she catches them with her bare hands, and earn an additional 300 rupees for her grand-children. It is a daily routine, and she stays in the waters from 6- 9pm every evening. Like many others living in the region, she wants to see a better life for her grandchildren. She wants them to be able to gain jobs in the public sector. “I want them to have a government job when they grow up,” she says. Arumoham has faced a lot in her life. Having left her home in 2005, abandoning most of what she had built in life, she has returned to the same area and now is trying to build a life again, for her children and her grandchildren who depend on her. I met Kusalini when I was in Wakarei on a field visit. She peeped at me while sitting on her mother’s lap and I was busy noting down the answers her grandmother was providing me on the challenges she faces to continue her agricultural work. At first Kusalini was hesitant to come to me, a woman who was strangely dressed and did not speak to her in her mother tongue. No amount of smiling or coaxing would make her leave her mother’s arms and come to mine. 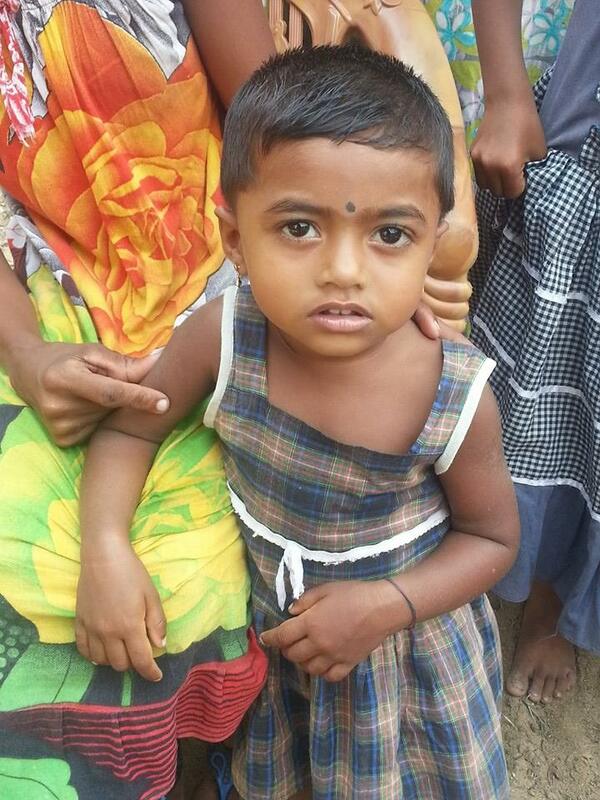 She is two and a half years old, lives with her mother and her grandmother, as well as another cousin for whom her grandmother cares for as both her parents have remarried and have decided to take care of their new families. Kusalini’s father does not live with her mother. Lojini, her mother’s divorce is pending and she has no source of income other than the one from her mother’s agricultural work. Lojini 25yrs is waiting to be separated from her husband who had chosen to spend more time at his parents’ home than with her. He provides no financial assistance to her or the child from the information she provided. I hear a story much familiar to mine, though our circumstances are different. She is not yet divorced, apparently the legal process keeps getting dragged. I ask the interpreter for the reason behind it, but he comes up with information that I cannot relate to in any legal sense. I decided that I need a better interpreter, preferably a woman who would be able to provide me information without judgement. Kusalini, her daughter is just one month younger to my son Akashiv. She seems an active and curious kid, just like my son who is a few days elder to her (maybe a little more subdued than Akashiv who is of late all over the house and would talk easily to people). When I ask how old her daughter is Lohini indicates with her figners “two” and then “five”. Lojini schooled only upto grade 9, and has never worked. She says she has to take care of her daughter, and that she helps with her mother’s vegetable garden and looking after the few hens they have. She smiles a lot, so does her mother. Kusalini is more reserved, and prefers to stare at me instead. Indrani is 51 years old. 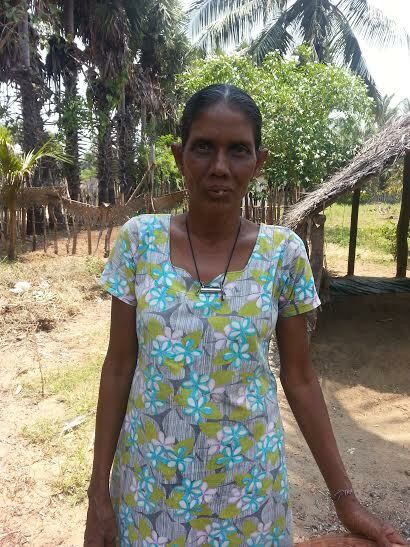 She tells me that she has 5 children, and one living with her who is Kusalini’s mother. 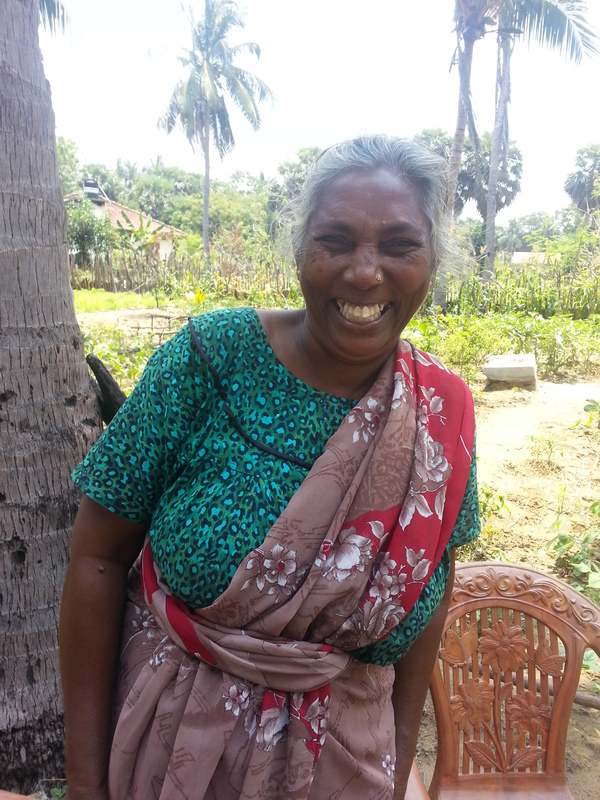 She also has two grand-daughters she takes care of with her meagre income from her home garden. She plants different types of crops among which are chili, pumpkin. I see around the plants around me while I type. The changing climate has been harsh to her, the crops are being damaged due to heavy rains, and then the lack of it created by impacts of climate change. A widow, Indrani is the head of a household comprising only of women, for whom she is the sole bread-winner. They have two meals a day, either breakfast or lunch, and then diner. The hens they keep provide eggs that they use to earn an extra income as well as provide food for the children. I am unable to ask her many questions due to my lack of Tamil knowledge, and the interpreter being a man who decides what needs to be asked from Indrani and what he needs to censor. Unfortunately my dependence on his judgement on my access to information prevented me from gaining more information from them. Indrani has previously had a small shop which had failed because people to whom she offered rations on credit failed to pay back. Now she earns her living through her vegetables. I ask her whether there are any attacks by animals on her crop. She points to Kusalini and laughs. She says Kusalini find it a hobby to pull out plants. 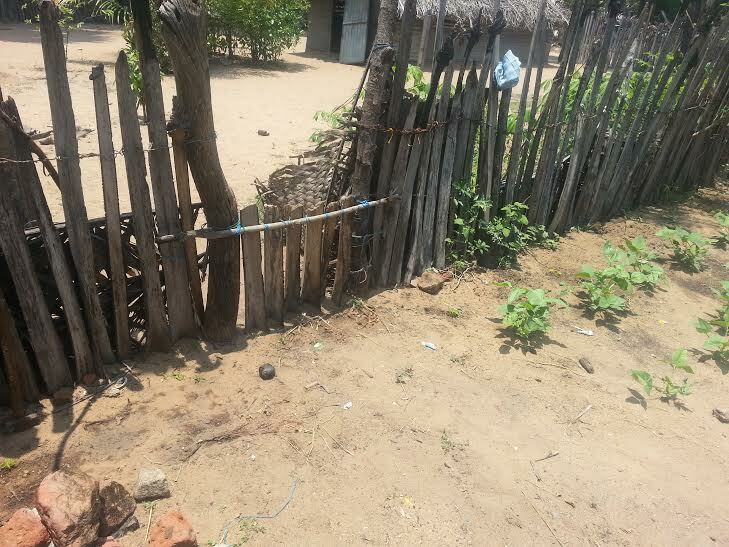 Her solution: A fence tall enough to block Kusalini access to the plot of land, and short enough for her to enter the land. As I pack to leave, and her grandmother gets ready to pick go her, the other grand-daughter who is 7 arrives. She has walked all the way home, and I am impressed given that my parents would have had a heart attack had I done that at 7 (They had decided to send me to school in a van even when it was 3 junctions from home.) She joins her family in observing the newcomers, and trying to grasp what was happening around her. I ask the two elders what they want for their children. 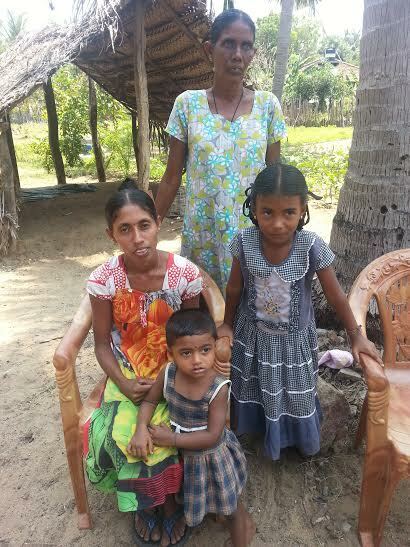 Indrani and Lojini both want the kids to be government employees when they grow up. They think that is the most stable profession. Lojini wants Kulini to become a teacher, she says it is a “good and dignified job”. Not having much to offer to the child, and knowing that offering money as a parting gift would probably have a negative impact on what I was trying to build here, I offer Kusalini and her cousin the food I carried with me. She likes the red coloured wrapper and decides she finally likes me. I answer that he is with my parents as I am in Wakarei for work. I look at him understanding that he and I come from different opinions. I believe in a woman’s education and being able and empowered to make decisions, to work and earn a living to ensure that her children have their meals and are educated without depending on anyone else. For him it seems the woman’s role is to be with the children at all times, even if they are to starve. However trying to make sense with him at that point did not seem the best decision. So I leave thanking the education received which had enabled me to make decisions on my own, and strive for better, which was less available to Lojini. I leave hoping that Kusalini would not be hindered to reach higher and follow her dreams, that one day would have options in life just like my Akashiv does, not withstanding her gender, nor ethnicity. And I hope she gets access to education which would enable her to become what her mother dreams she would be, or anything else she aspires to be.